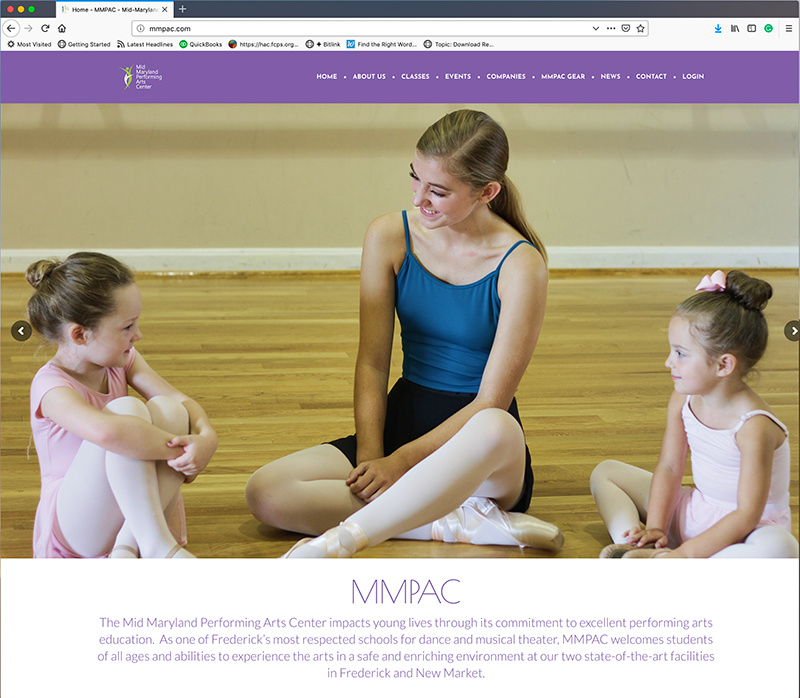 Mid-Maryland Performing Arts Center had not updated their website in a long time, and their customers found their site very difficult to use on mobile devices. They were in need of an update and reorganization of their content. The new website highlights their students, is easy to navigate, and mobile friendly on all devices.